Big News and Congratulations to Eli Arndt as his second successful Kickstarter as Loud Ninja Games has now been shipped! Following up on the release of the Ikwen its been a busy time for LNG. 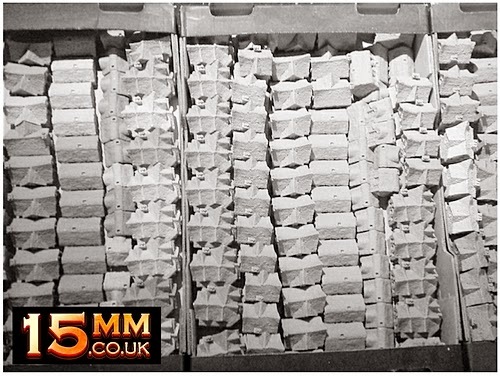 All packages for all backers have now been sent out world wide by our staff at 15mm.co.uk. We would put estimations upon package deliveries at the end of this week in the UK and across next week for Europe and North America with the rest of the world being a week or so later than that. 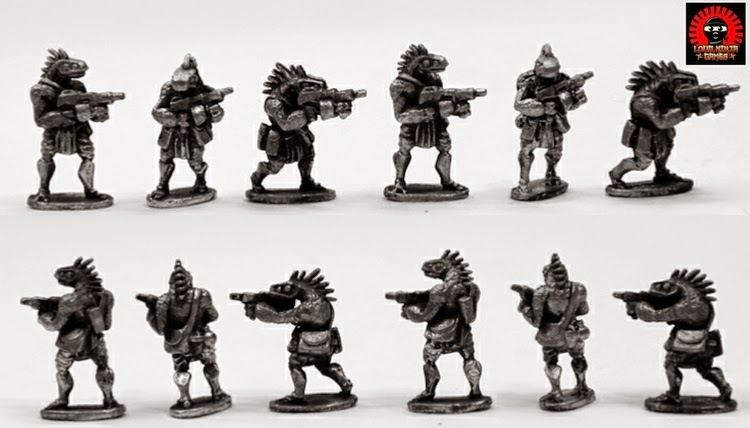 After discussions with Loud Ninja Games, ourselves and feedback from backers of the Kickstarter the decision was taken to re-structure the YanDrassi miniatures into new codes and place them into the expanding RAP structure. As a result the list below shows you what to expect upon general release. Eight codes plus five force builder packs each giving roughly a whole platoon with a 5% saving off list prices for single codes. 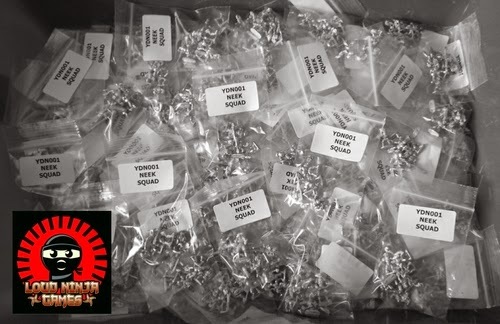 Release of the YanDrassi code and Force Builder packs into the Loud Ninja Games page of 15mm.co.uk will be in early May 2015. More on this nearer the time. 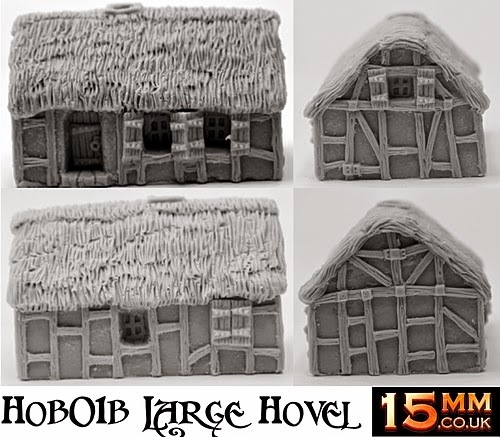 Our new range 'Hordes of Buildings' or HOB for short takes on the role for structures that our famous range Horde of Things (HOT) does for miniatures in 15mm scale for fantasy wargaming. 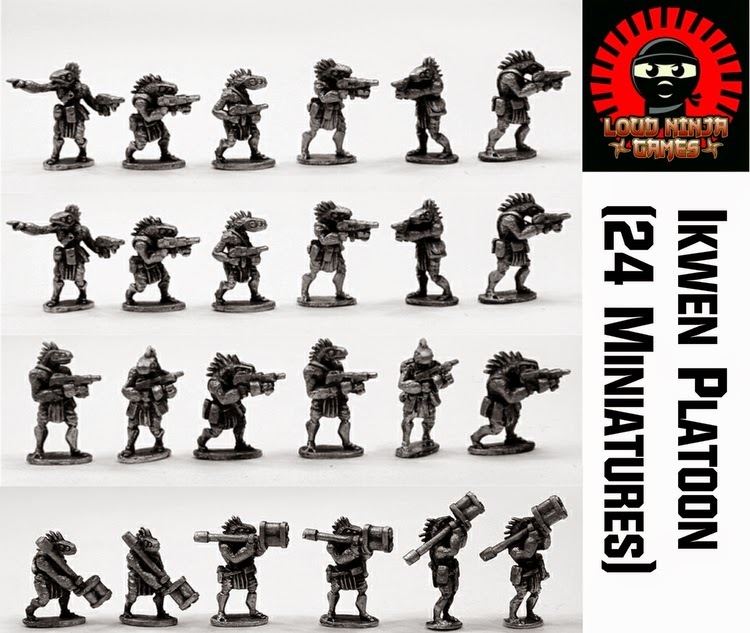 We intend big things with this new range as a part of our commitment to 15mm fantasy wargaming which began this winter with the Monster Survey. Lots of you asked for dedicated structures the likes of which have never been created for fantasy wargaming in our scale and now we have done this. Beginning with five Human buildings in a core set before expanding into other races and more specialised structures we present 'Hordes of Buildings'! From now until 20th March 2015 we are offering a pre-order deal as follows. Go to our website on the links here and choose your buildings, the set, singles or multiples. You will see that they are 15% off release price for single buildings and a whopping 24% off the starter set or 34% for three starter sets!. Place one order or as many as you like and we will ship them all out across the world on 20th March 2015 making you among the first to get these awesome models. Maximum value can be had by taking THREE of the starter sets of five buildings giving the greatest saving plus gets you free worldwide shipping too! HOB1 Human Starter Settlement (5 Buildings) – Save 24% to 34%! 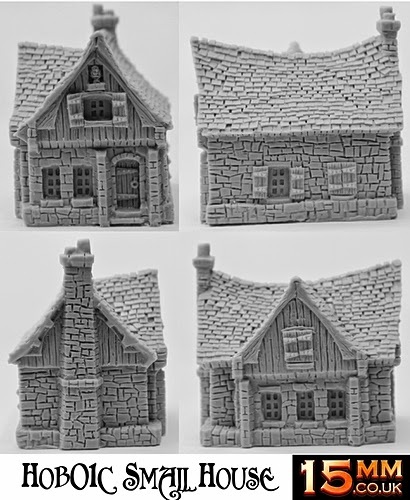 This set of high quality very detailed resin buildings contains five different 15mm scale single pieces. 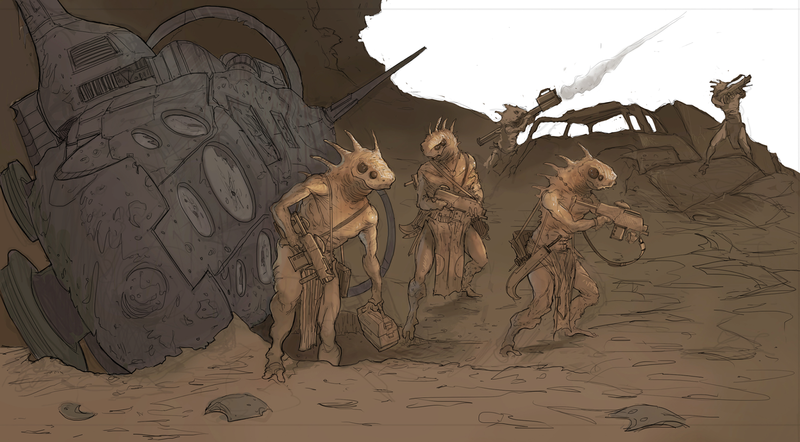 These give you a Human Settlement which is suitable for any fantasy world and campaign. No assembly required. The set contains a Small Hovel, a Big Hovel, a Small House, a Tall House and a Large House. Every building is loaded with great little features and can be arranged in countless ways on your wargaming table. Total separate prices for purchase 39.50GBP starter set priced at 30.00GBP (24% saving). Buy three sets and save an additional 10% off list prices using the option in the drop down menu on the product page manually. HERE. This 15mm scale one piece highly detailed resin building requires no assembly. Suitable for any Human campaign in a fantasy wargaming world it depicts the dwelling of those on the lowest rung of the housing ladder. A straw roof with wattle and daub walls intersected by crude wooden beams. Two stone steps lead up to a stout wooden door with iron hinges and detailing. A single window on the rear has wooden shutters and a panel of hand blown glass. There is a shuttered window on one side perhaps for hay storage and an open chimney with wood surround upon the roof. This building is 35mm wide, 40mm deep, 40mm tall to apex of roof. Price is 4.00GBP. Buy three sets and save an additional 10% off list prices using the option in the drop down menu on the product page manually. 15% off all options during pre-order! HERE. This 15mm scale one piece highly detailed resin building requires no assembly. 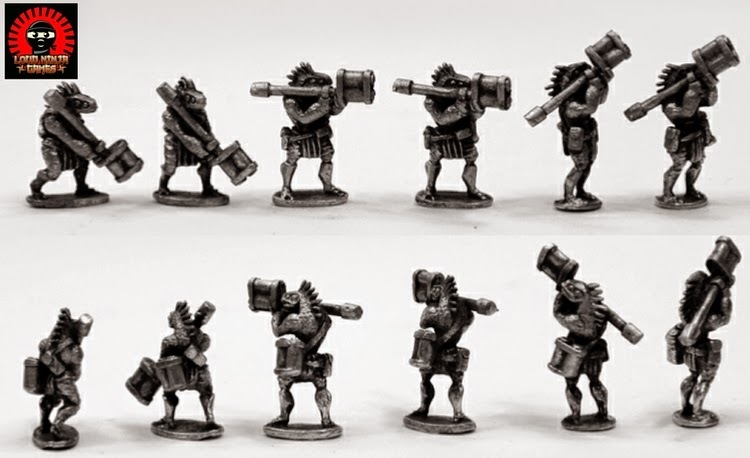 Suitable for any Human campaign in a fantasy wargaming world it depicts the dwelling of those one up from the lowest rung of the housing ladder. A straw roof with wattle and daub walls intersected by crude wooden beams. A stone step lead up to a stout wooden door with iron hinges and detailing and there are two windows with shutters also on the front. A single glass window on the rear and another with wooden shutters closed. There is a shuttered window on one side and an open chimney with wood surround upon the roof. This building is 60mm wide, 40mm deep, 35mm tall to apex of roof. Price is 5.00GBP. Buy three sets and save an additional 10% off list prices using the option in the drop down menu on the product page manually. 15% off all options during pre-order! HERE. This 15mm scale one piece highly detailed resin building requires no assembly. Suitable for any Human campaign in a fantasy wargaming world it depicts the dwelling of those in a more urban or wealthier area. A uniquely tiled roof with lots of character and a stone building which features a wooden door along with three windows across its two floors and a small inset icon too. There are more windows on the ground floor of the building on both sides with shutters and hand blown glass. Wooden panelling surrounds the upper level and a stone chimney stack runs up the rear of the structure ending in two chimney pots. 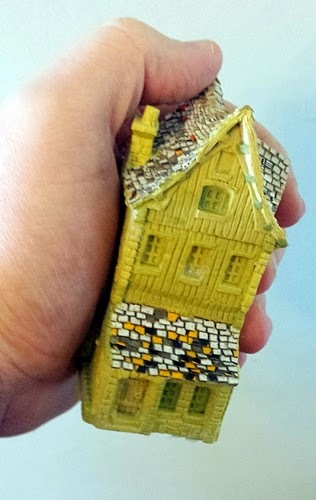 This building is 45mm wide, 60mm deep, 65mm tall to top of chimney. Price is 8.00GBP. Buy three sets and save an additional 10% off list prices using the option in the drop down menu on the product page manually. 15% off all options during pre-order! HERE. This 15mm scale one piece highly detailed resin building requires no assembly. 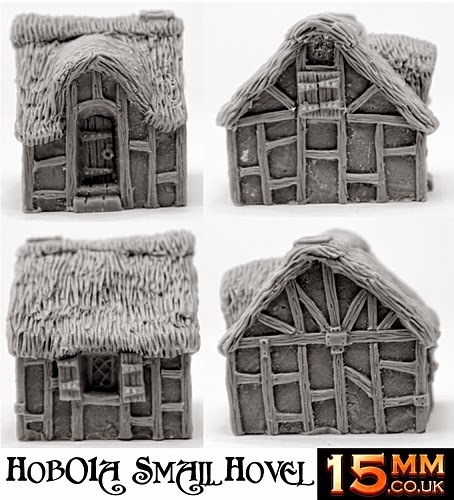 Suitable for any Human campaign in a fantasy wargaming world it depicts the dwelling of those in a more urban or wealthier area who likes to look over his neighbours. Four floors tall. A uniquely tiled roof with lots of character and a stone building which features a wooden door along with eight windows and shuttered hatch and loft entry on its front side. The rear side has another wooden door and six windows as well as a tiled extension where perhaps the kitchen is. One side has a thickly built stone chimney stack and one window while the other side has one small window and a now blocked up former door. Wooden panelling details the front and rear. This building is 40mm wide, 50mm deep, 95mm tall to apex of roof. Price is 10.00GBP. Buy three sets and save an additional 10% off list prices using the option in the drop down menu on the product page manually. 15% off all options during pre-order! HERE. 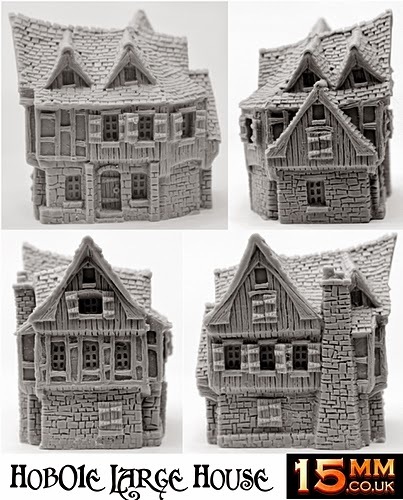 This 15mm scale one piece highly detailed resin building requires no assembly. 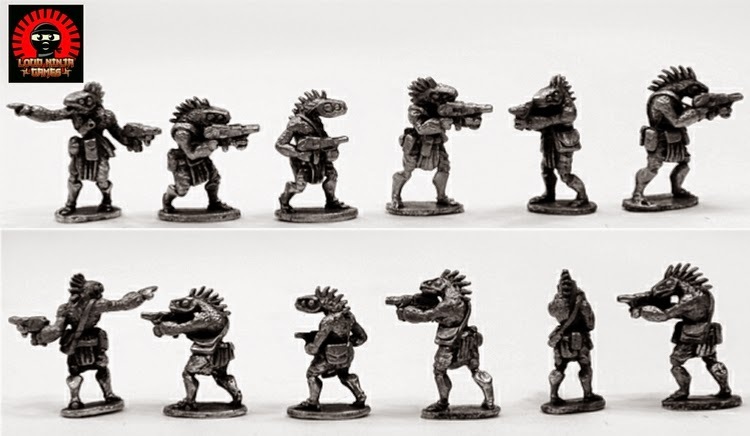 Suitable for any Human campaign in a fantasy wargaming world it depicts the dwelling of those in a more urban or wealthier area who are at the top of the pecking order. Three floors tall. A many faceted tiled roof with many small windows sits atop a solid stone structure with wooden panel detailing. A wooden door with iron brackets and five windows on the front, five more windows with shutters upon the rear of the building. A chimney stack tops out with two chimney pots in one corner of the structure. There are many other small details on this model. This building is 65mm wide, 50mm deep, 75mm tall to apex of roof. Price is 12.50GBP. Buy three sets and save an additional 10% off list prices using the option in the drop down menu on the product page manually. 15% off all options during pre-order! HERE. 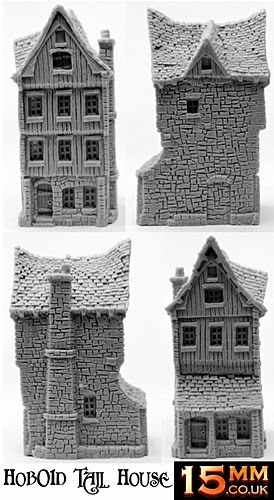 These buildings were sculpted by our lead designer Sam Croes and as well as being superb for wargaming they are also beautiful objects in their own right which would look at home on your table or desk. They are unlike anything I have seen in wargaming and just call out for painting and your affection. I personally now want a tavern..a pub...called 'The Blind Cockatrice' of course. Enjoy the pre-order offer everyone!